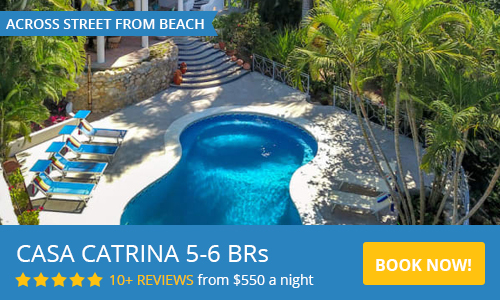 Sayulita sport fishing travel vacations. A SayulitaLife list of sport fishing charter information and tour operators. Highly recommended and licensed. The best deep sea sport fishing in Mexico. Deep sea, kayak, shore, or panga fishing in Mexico's trophy fish filled waters. See our Sayulita Fishing page for all fishing information and learn why Sayulita is a fisherman's paradise! Fishing, Snorkeling, Whale Watching at the Marrieta Islands National Park. Over 20 years experience in Sayulita, Mexico. On the ocean since age 8, Capt. Regis knows when conditions are good. Not just a business, this is my PASSION. 30' Twin V Catamaran, 2 four stroke outboard engines, a cabin including a bathroom, outriggers, professional gear. Your guide, Jorge (aka Popperman) knows all the best spots. Fish like a local for Dorado, Snappers, Jacks, Mackeral &..
Owner-Capitan Solin along with Capitan Chilo invite you to take an unforgettable customized boat trip on their traditi..
World class Fishing Center just 15 min from Sayulita. Guided fishing trips and Blue Water Hunting, Retail Shop, Sport an..
Join Surf Mexico with experienced, certified guides in freediving and spearfishing for the adventure of a lifetime! 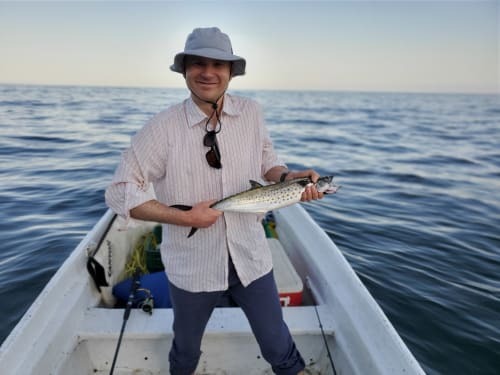 Y-Knot Fishing in Punta Mita specializes in big game sport fishing and whale watching off the scenic coast.